It was a great feeling to unwarp the package and find a nice swanky Dremel in it. I have never had the opportunity to use one, though the closest I came to using a rotary tool was the Bosch Engraver. So I was excited. Given that it is such a versatile tool with so many purposeful attachments, I wanted to see how best I can use it for my day to day work. Nothing like getting to review a product by using it for my own daily work, right ? And so I had to take my own sweet time until now. Before looking at the application, here’s a little something about the Dremel Micro. It is a very compact, rotary multi-tool that comes with various modular attachments that you can use based on your requirement. The Demel tool works by rotating at high speeds and by using the appropriate attachments one can drill, grind, sharpen, cut, clean, polish, sand, route, carve, engrave and more. It is a very handy tool that one can hold like a pen and perform the required activity . The 5 different speeds allow the user to gain more control over the tool depending on the application. 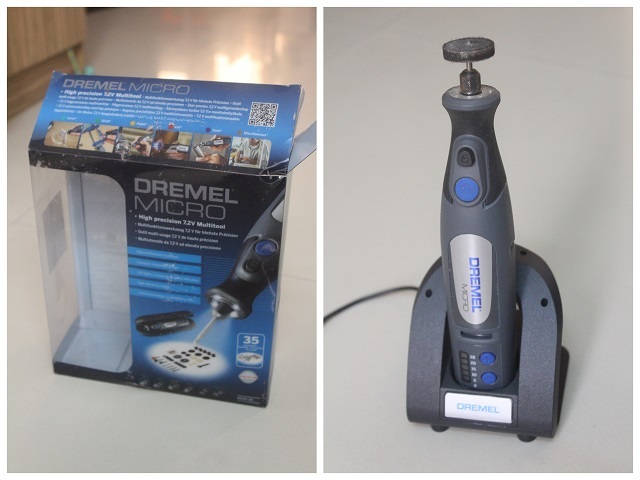 Dremel Micro comes with a sleek charging pad and a 7.2 V lithium ion battery that lasts for more than 4 hours. It has no cords and that is an added plus. The LED lights in the nosecap make it easier to work on intricate surfaces Now for the attachments that it came with. While I had use for some of them, I tried using few and I could not find means to use the rest. 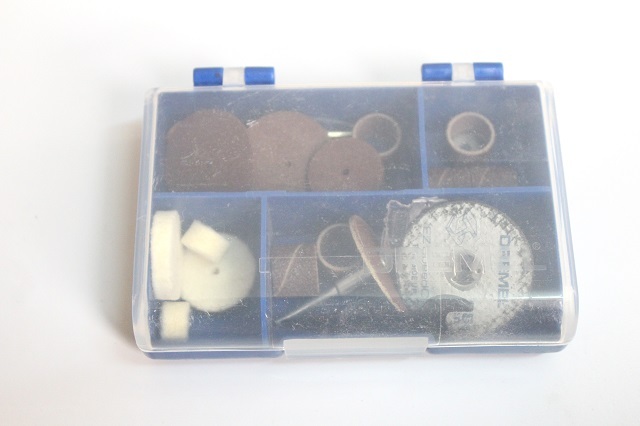 Each of the accessory is attached to a mandrel that can be easily removed and replaced. Here’s the list of attachments and the application. 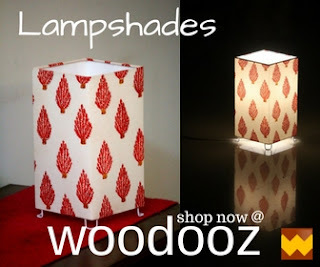 Earlier last month, we were participating in an exhibition and I struggled to make the base for my HALO series lampshades. I managed to make two. But I still needed to make 8 more and that is where I thought I would put the Dremel Micro to good use. My biggest challenge was to slightly round the edge of the base which was taking me time with hand. The drum sander attachment came in handy and I was able to complete the other 8 much quicker. The other issue I had was to cut the SS pipes using hack saw blade. While it did work, it took me lot of time to cut through from one end to the other. The metal cutting wheel, that comes with an easy, quick change system called EZ SpeedClic, came to the rescue. It took me some time to get the knack of it, but it certainly helped. With sparks flying around, one should be cautious and ensure safety masks are worn. Something I have long been looking for. Finally used it to sharpen my carving knife and chisel. The rotating stone rubbing on the metal sends sparks flying around, so make sure you cover your eyes up. Wear gloves if you must. This one was pretty exciting for me to use. 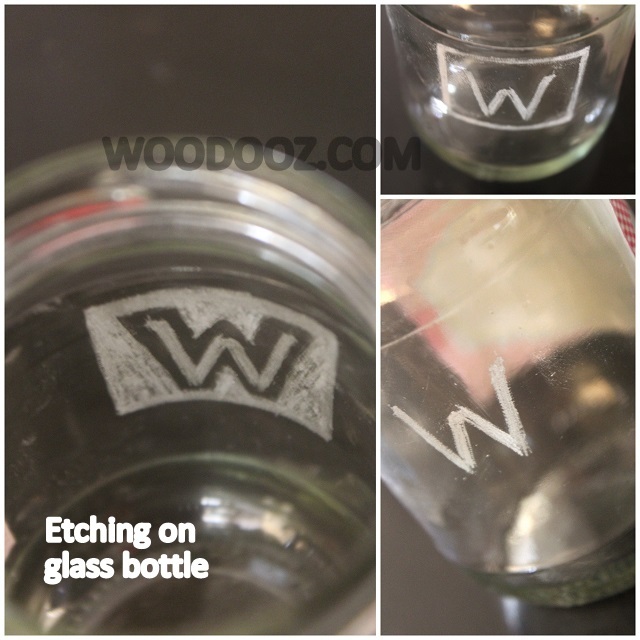 I have always wanted to try etching on glass and have been exploring options. I did not have real purpose for it at that moment, and so I went about trying it out in a bottle of pickle. And look what I ended up with. I could have done a better job had I used a template or did an outline before trying to etch. This is what my free hand expertise could manage. Nonetheless, I was quite happy with how easy it was for me to etch the W. Caution : Wear safety goggles and a mask. Given that I had worked with the Bosch engraver earlier, this attachment excited me. 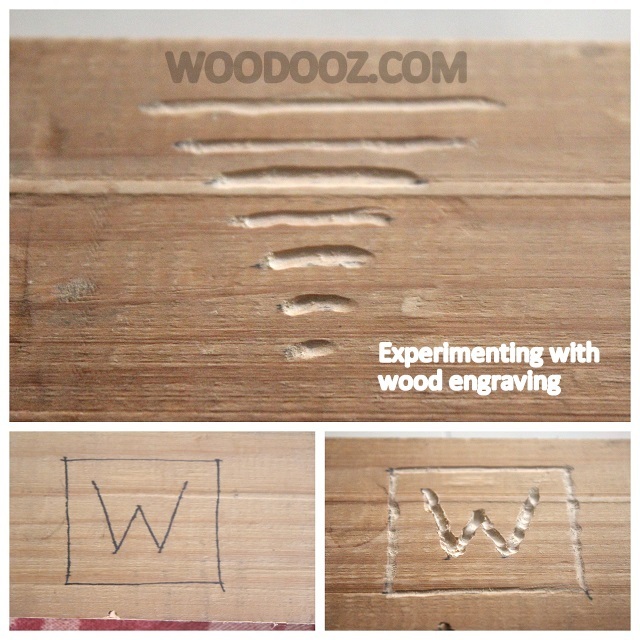 It is in my vision to start either engraving or etch the WOODOOZ logo in all my products and so these two attachments have been of special interest to me. Again, I went about randomly trying out on a piece of pine wood. 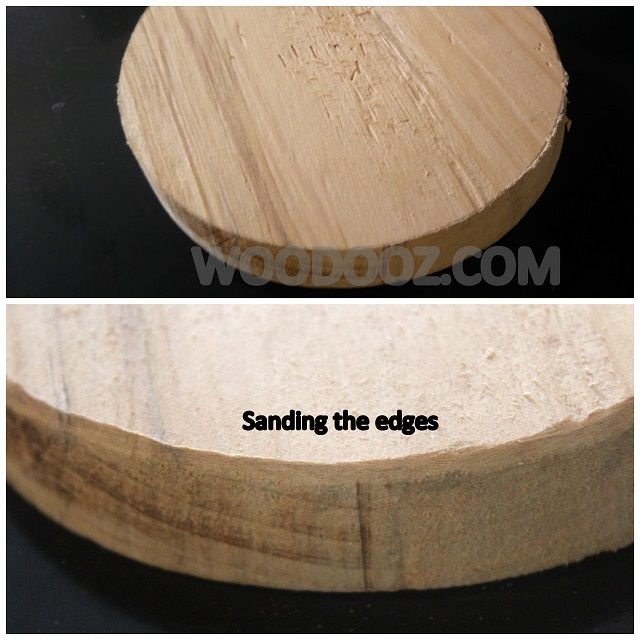 I had trouble moving the tool against the grain, but I feel a trained hand would be able to do this with ease. A handy tool for someone who is into carving too. Some of my clay carving friends might find use for it. Works well on metal too. The cut off wheels are made of hard abrasives and are ideal for cutting metals, wood and ceramics. 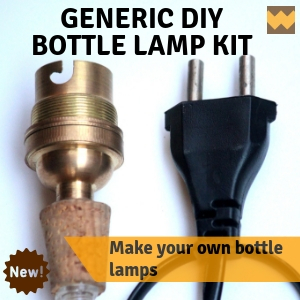 This is particularly useful if you want to cut off a portion of a screw, bolt or a nail from your WIP projects. The Dremel Micro comes with a polishing compound that is ideal for polishing metals and plastics. I had few silverwares on whiich I tested it and it did wonders. You can either use the nylon bristles or the polishing wheel, take a bit of the polishing compound and run it along your silverware and watch it do wonders. 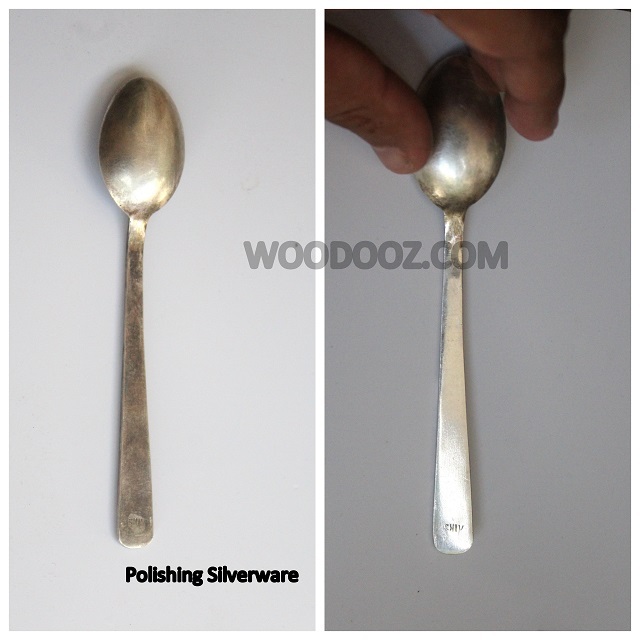 I was surprised at the luster that it added to the spoon that I tested it on. Surely a winner attachment at home given that there is lot of metal polishing that is waiting to be done. On the whole, the Dremel Micro is a very functional tool for a DIYer. Priced at a little less than 17K, I strongly believe only serious DIYers would give it a due consideration. 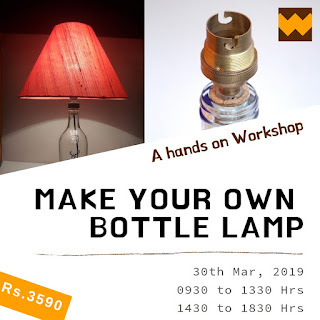 The one and off DIYers would still want to manage with low cost options like hand sanding, using hack saw, and other means to getting their work done. With routing and saw attachments being available, the Dremel Micro can truly be a tool that can replace most other tools. I am falling in love with it and finding it extremely useful for my needs as I keep working more on it. Happy that I could lay my hands on it. P.S. This is a sponsored post. However, the views expressed are my own and based on my use of the tool.